That’s pretty nice that this company feels like they can brag about their employees, but I tell you what–this is NOT the place to be working when the zombies come. I would get the heck out of here! This entry was posted in Engrish and tagged brains, engrish, zombies. Bookmark the permalink. 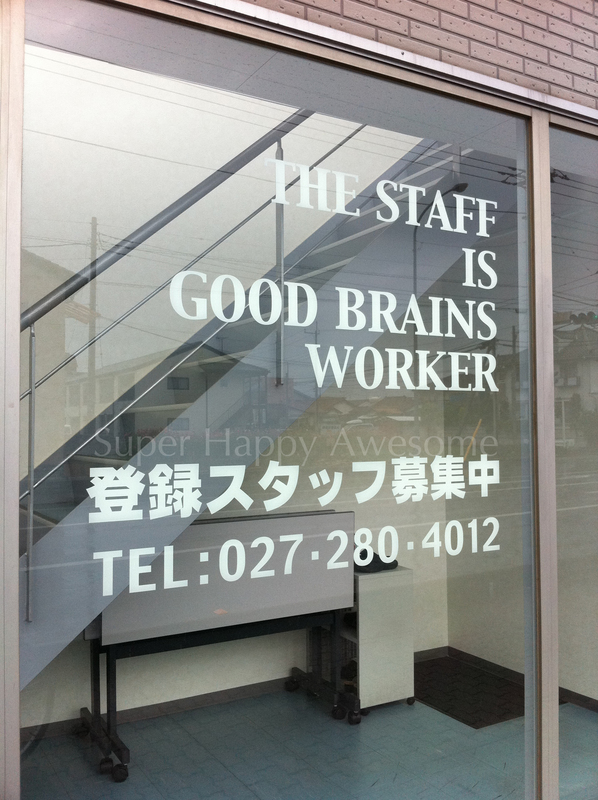 7 Responses to Happy Engrish Friday! Braaaains…. I SO needed that this morning. Thanks for making me smile! Haha, awesome! I’m glad you enjoyed it, and I’m happy it put a smile on your face 😀 How have you been lately? Yeah, this is definitely one of those “Why did they do that?” sorts of Engrish! As far as I can see, Japanese zombies say 脳みそ, which is quite a tasty way of saying “brains”. I wonder if they make it into noumiso soup.